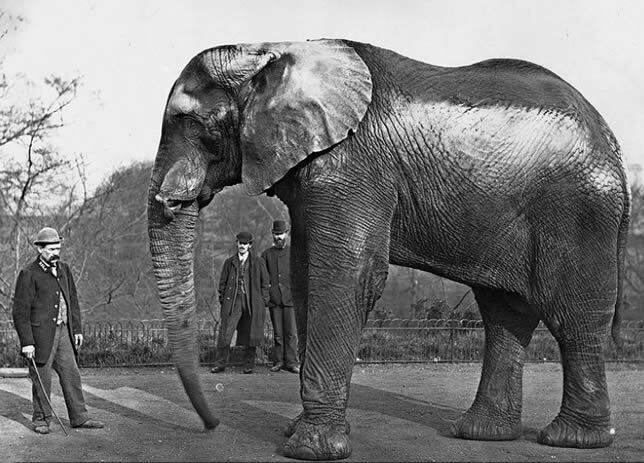 How heavy is a fully-grown elephant? An approximately 20-year-old Asian elephant cow weighs 3500 – 4500 kg on average, and measures around 2.6 metres at the back. An elephant bull weighs about 5000 – 6500 kg and measures around 3 metres at the back. 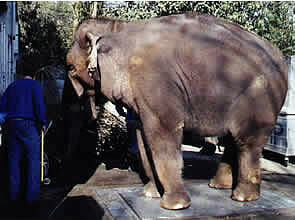 African elephants are larger and weigh more. An elephant cow measuring around 3 metres at the shoulders will weigh around 4000 – 5000 kg. An African elephant bull, however, weighs around 6000 – 7000 kg and measures around 3.2 metres at the shoulders. 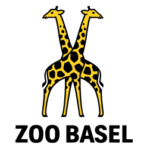 Does this apply to all elephants? 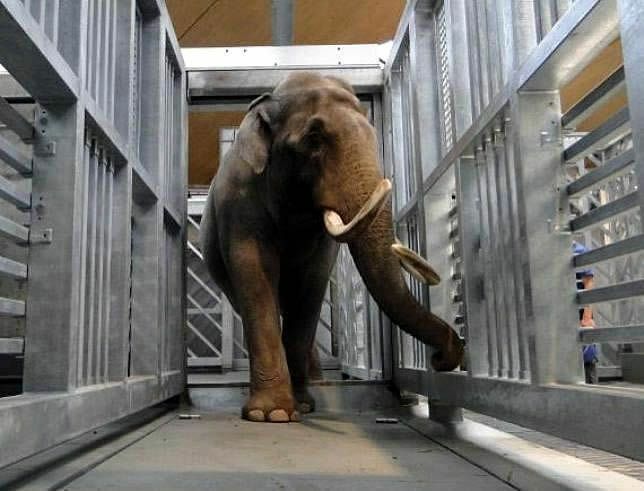 These figures apply to elephants living in a well-run zoo or circus. Wild elephants in Africa and Asia and working elephants weigh substantially less and rarely grow so tall. The reasons for this could be the lack of food, insufficient drinking water and/or a lack of medical care, depending on the circumstances. Elephants continue to grow for the entire duration of their life, and so never ‘grow-up’. Do grown-up elephants maintain their weight? How fast do baby-elephants grow? 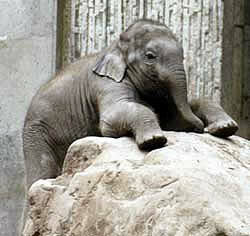 One can see how the weight of a baby-elephant develops by observing Panang (born on the 13th of February 1989). The data shows that Panang gained 1 kg daily, which is the case with most healthy elephant calves born in a zoo. Even with adult elephants, the weight fluctuates. As with humans, diet, exercise and general fitness also have an impact on body weight in elephants.